Unique greeting cardsThere are 52 products. Unique handmade and original cards from Unikatnica are a unique and special gift for your loving ones, because each card is made from * hand cutted materials and * hand drawn motifs and patterns and each card is * made only in one piece. This beautiful, handmade wedding congratulations card represents unique and thoughtful gift. What makes it special is a motif of a lovely pink newlyweds couple. Important! Before purchasing this handmade wedding greeting card please register/log in to Uniktnica. This beautiful, handmade wedding greeting / congratulations card represents unique and thoughtful gift. What makes it special is a lovely silver newlyweds couple. Important! Before purchasing this handmade wedding greeting card please register/log in to Uniktnica. This beautiful, handmade wedding or birthday greeting card represents unique and thoughtful gift. The white cake symbolises joy, love for life and everything that represents wedding or birthday. Important! 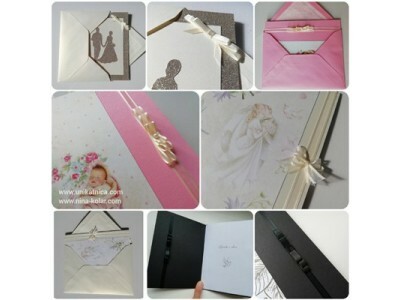 Before purchasing this handmade wedding/birthday greeting card please register/log in to Uniktnica. This beautiful, handmade birthday greeting card represents a lovely sparkling blue butterfly. Handmade birthday greeting cards from e-store Unikatnica make truly a unique and memorable gift for any special occasion. Important! Before purchasing this handmade birthday greeting card please register/log in to Uniktnica. This beautiful, handmade birthday greeting card represents a lovely turquoise butterfly. Handmade birthday greeting cards from e-store Unikatnica make truly a unique and memorable gift for any special occasion. Important! Before purchasing this handmade birthday greeting card please register/log in to Uniktnica.